Here’s my contribution to the new book A VELOCITY OF BEING from Maria Popova and Enchanted Lion Books. It’s a collection of of letters and drawings about the joys of reading. All profits go the NY Public Library system, and you can pre-order it now! 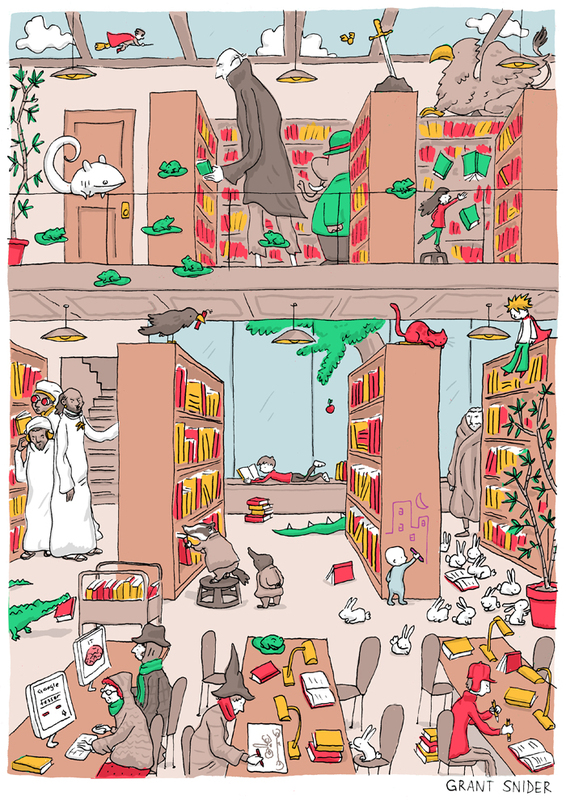 Which literary characters can you spot?